Looks like it's been a while since this has been active but my husband and I are just starting out. We're having a blast on Powerhouse for now and are up for trying some other II runs. Would love to get in some III before a trip we've got planned at the end of Sept. Weekdays overall work best for us and we need a little warning, we're still renting boats to figure out what we want to buy. New boater, weak roll, working on that, looking for opportunities for more experience. I'm off on Tue/Wed. I have all the gear. Looking forward to meeting others who can paddle mid week. Always work weekends. Thanks! I would be happy to take you out but I need to figure out my schedule first with my new job but after that I'll let you know when I can get out. That would be awesome! We're headed to Powerhouse on Wed afternoon but that's the only place we've been so far. Hey y'all, new to the Kirkland area from Tennessee. Pretty confident in class 2 with a good roll. Looking to step up my game and meet some people! Anyone wanna hit up the SKY? Hi All-- I'd love to get in on the beginner train. I've done a bunch of the class II and some easy class III in the area. I have a good roll, and have all the gear. Looking to find more boating partners for the Fall! Sounds like we're at a similar spot with boating. I'd love to hit up the sky once its back in. Is anyone gonna be on the sky this coming weekend? I'm off on Sat and I'd love to come to the Sky. We did it last week from Split Rock to Big Eddie and loved it. Slight problem, I don't have a roll yet. New to the area and relatively new to kayaking - class II mellow III out in CO, got all gear and reasonable roll. I'm pumped to be an area with a bit more of a boating season, and hoping to start meeting people to get out this fall. Sounds like the Sky still goes even at these low flows? If there's momentum for a Saturday trip I'd be interested in join, even if only to enjoy the sun/water combo before things cloud over! I am also a little new and would be interested in getting out. Busy this Saturday but down for some after work runs or more stuff in the future. I've gotten out on the Green, Cedar, Snoqualmie, Skagit, and a short section of the Wenatchee (dam to rodeo). So basically a bunch of II and III-. Solid roll. I'd be up for going on Saturday, so long as the levels aren't too low. I've boated that stretch a few times and really like it. But according to the gauges its not really in... Rebshep, you did it recently and it was okay? The sky is a big river and holds it's waters well. 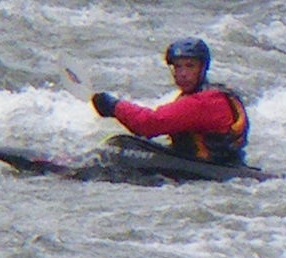 You should have plenty of water to make it worth your while working on your skills and working the river. Great time to attain and really work on exploring lines and catching every eddy.. Have fun ! Do you think cable to split or split to big eddy is better for working on skills this time of year? Man, that was a blast. I'd be up for it again anytime! Anyone want to go on the Sky on Sunday? Would any of you be willing to show me the sky? My friend and I are looking to get out Sunday on the sky or possibly something else fun and local depending on how the levels look by Sunday. Pm me and I can give you my info. read the end first. :( i do weekday boating. Hey is anyone paddling Sunday? Wow, rivers all dropped. I'm a newbie with a new boat, and a big smile. Anybody going this week? Last spring, I was told to learn to paddle first before moving to the hard kayak, so I bought an IK, actually two of them. A Sotar IK, and an Aire Lynx. Thinking it couldn't be much different than a raft, I set out on the lower Wenatchee in early June. Problem with the IK is I couldn't see. Not used to viewing from the water level, immediately I was swimming Rock'n'roll...didn't see the first hole, flipped....self rescued in time to go into the next one. Held onto my stuff, got back in the boat. Made it down to gorilla, and had no idea that rock was under the bridge in the shadow.....right over the top, I was swimming again. That hole held onto the IK and I had to swim all the way around the corner before it released my boat and it caught up to me. Back in the boat, made it down to the rodeo hole, lots of folks surfin....I blundered a couple strokes and yard saled myself through the middle of them....got some ugly stares, but gathered myself up and flipped on an eddy line when the river runs up against the wall on R. Left. Swam snowblind, and finally suffocator. Humbling day to say the least.